After a long (64 hours) and traumatic first birth, Melissa decided to take a wholistic approach in preparing for her second birth by addressing aspects of mind, body, and soul. The book Mindful Birthing was pivotal for Melissa in holding an open hand about what her second birth would look like. Melissa had a team prepared to support her, including a birth doula, birth photographer, and a birth singer. After going to 41 weeks and 2 days with zero contractions, Melissa went into labor while hiking by herself. After a long first birth Melissa was expecting the same for her second. After mooning the entire town on a speedy car ride, Melissa gave birth minutes after arriving at the birth center. Melissa had never imagined that she could give birth without feeling pain and laughing throughout the entire process. This is a story you have to hear to believe. Her birth singer, Meghan, is featured on this episode singing some of the songs that were sung over Melissa before and after her daughter arrived. Melissa is a mother of two and a licensed clinical social worker living in Flagstaff, AZ. Melissa is an avid travel, passionate about building community, and seeks to create spaces for survivor voices to be heard. Melissa has a private counseling practice, Cultivate Counseling, and can be reached at melissa.dohse@gmail.com. Meghan is a board certified music therapist and music director for the Flagstaff Threshold Choir, a women’s choir that sings in small groups at the bedside of those nearing end of life. 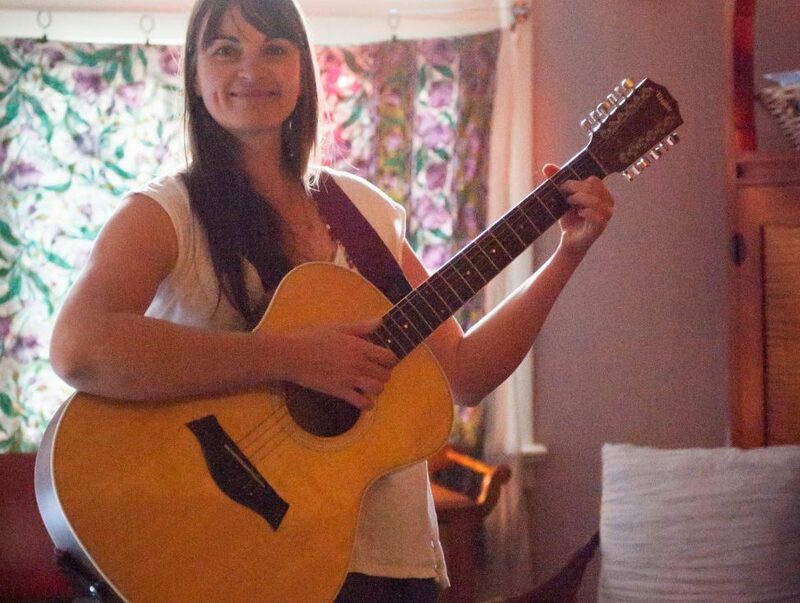 Meghan draws upon her background in facilitating music experiences with young children, women’s circles, and people in hospice care to provide supportive music for laboring and birth celebration. Find out more at mountainhealthmusic.com, meghan.callaghan@gmail.com. Today’s sponsor is Wavhello. BellyBuds by WavHello are adhesive speakers that gently adhere to mom’s baby bump and safely play music to the womb. BellyBuds help relax and reduce stress, stimulate early development and promote positive connectivity in the brain through music. Learn more about BellyBuds at wavhello.com. Right now take 10% OFF BellyBuds on their website with code BBMOTHERSDAY through 5/14/17. Can you share the name of the songs the singer sang. I would like to search for a variation of them. The chorus was beautiful. “Love Song to a Child” by Madolin Wells. It’s recorded on the Threshold Choir’s album “Tenderly Rain.” The original song lyrics are different and I adapted them to be appropriate for a birth.